Flowers and messages at the scene of the accident. Photo by Eddie Mitchell. Police have named the couple who died in a car crash in Arundel last week. They have been formally identified as Daniel Eldergill, 21, of Browns Lane, Storrington, and Chloe Richardson, 20, of Roman Way, Billingshurst. 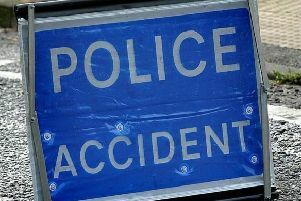 The one-vehicle collision happened on the A284 London Road, near Crossbush, on Thursday, November 17. Anyone who saw what happened is asked to email collision.appeal@sussex.pnn.police.uk quoting Operation Highmoor.